Today’s card was designed for an alternative to a Valentine’s Card. It doesn’t say “Happy Valentine’s Day” but instead it sends love with the adorable sweet and sassy hearts. The sentiment wishes you all good things and reminds us to live life to the fullest, love unconditionally and always look for opportunity to grow. Your home is blessed because of You!! 1.Cut a 11″ x 4-1/4″ piece of Basic Black Cardstock and fold it in half. This is your base. 2. 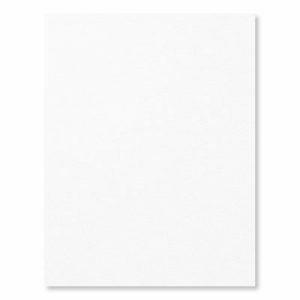 Cut (2) 4″ x 5-1/4″ piece of Whisper White Cardstock. Center and layer one inside your card and one on the top of your card. 3. 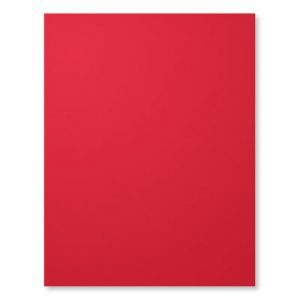 Cut a 3-7/8″ x 5-1/8″ piece of Real Red Cardstock. Center and adhere it to the top of your card. 1. 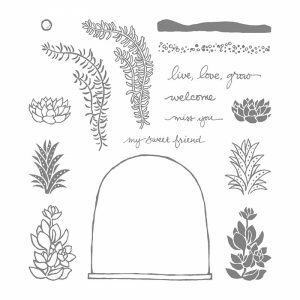 Cut a 4″ x 2-1/2″ piece of Whisper White Cardstock. Center and adhere this piece to the top of your card using Stampin Dimensionals. 2. 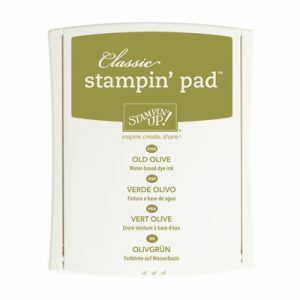 Using an Old Olive Stamp Pad to stamp your Live, Love Grow sentiment. Tip: I used the leaf from the Avant Garden Stamp Set. 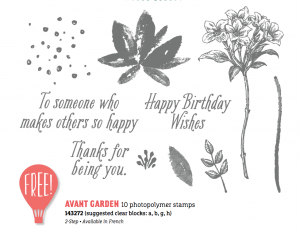 The Avant Garden Stamp Set is a Stampin Up Sale-a-bration Stamp Set this available with a qualifying purchase through March 31st. CLICK HERE to learn more about Sale-a-bration! 3. 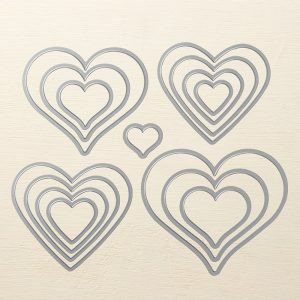 All hearts were cut out using the Stampin Up Sweet & Sassy Framelites and the Stampin Up Big Shot. 4. The largest heart was cut out of Real Red Cardstock. 5. The middle heart was cut out of Whisper White Cardstock. 6. 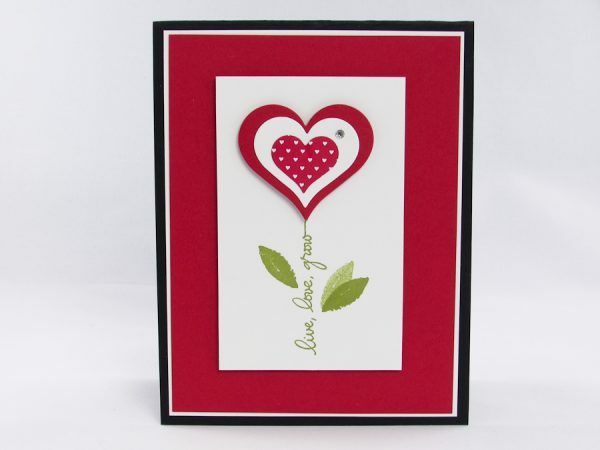 The little heart was cut out of the Sending Love Designer Series Paper. Tip: The Sending Love Designer Series Paper is from the Stampin Up Occasions Catalog 2017. 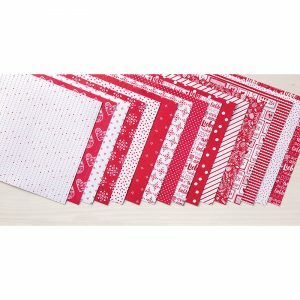 This designer paper is available through May 31, 2017. 7. 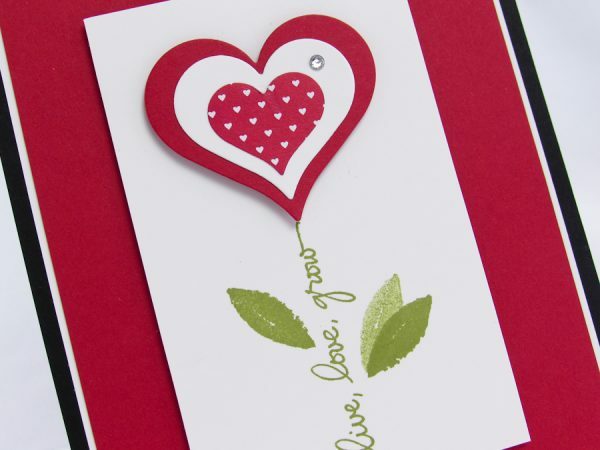 Layer your hearts and adhere it to your card using Stampin Dimensionals. 8. 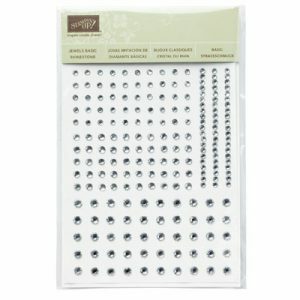 Add a Jewel Rhinestone or an embellishment if you’d like. Yes, I do love your card. My motto is, also, sometimes, less is more. And the heart dies are lovely. Thank you! Your live Love Card is quite lovely and I enjoyed the video presentation. It was love at first sight when I saw this card. I tried it with pastel paper and the ‘just because’ stamp out of “A Dozen Thoughts” stamp set. It was great. Can hardly wait to try other colors and sayings. The possibilities are endless. Thanks for your inspiration. God bless. Again, a lovely card – and it can be used for so many occasions. Thank you Brandy and have a wonderful day. Thank you for another fun card. Thank you again for sharing. very pretty – nice and clean! Thanks for sharing the card with us! Great to see another beautiful card from you Brandy and also great to see a ‘Valentine’ style card that can be used for so many other things. Thanks for sharing your talents with us.